Carol Loomis at her desk. I was reading an interview of Silicon Valley potentate Reid Hoffman by Fortune’s Jessi Hempel about Hoffman’s new book, The Alliance, in which he describes a new, optimal relationship between employers and employees. Hoffman says it’s a given that nobody works for one company for a whole career anymore, and that boss and employee shouldn’t pretend otherwise and should instead focus frankly on the temporal nature of their relationship. I think Hoffman is right, though he may be underestimating how difficult this change is for the average boss, never mind the average American employee who isn’t some brainiac CS major from Stanford. It really is the winding down of an era, I suppose—and the beginning of a new one. Nowadays when folks change jobs or leave, it hardly merits a celebratory quaff at the local Applebee’s. Except, that is, in very extraordinary cases. And I have a very extraordinary case to tell you about. In fact I would say it is the most extraordinary case in our profession. To wit, Fortune writer Carol Loomis is retiring. There is so much to say about Carol, but you can start with these two facts: She is the longest-tenured employee in Fortune’s history, and she is arguably the greatest business journalist of our lifetime. That makes her kind of like Cal Ripken Jr. combined with Michael Jordan. In other words, Carol Loomis is in a category of one. I could have elicited similar commendations from any number of high-profile CEOs, but Buffett—who, of course, is in a different league of his own—made the most sense because Carol and Warren are close friends who’ve spoken on the phone almost every business day for four decades. Now swing back to the Cal Ripken part. Carol was born on June 25, 1929, and raised in Cole Camp, Mo., a hamlet of about 1,000 people in the middle of that state. She joined Fortune in 1954. Let’s stop right there to note two points: (1) Carol just turned 85 years old. And (2) this year marks her 60th as an employee of Fortune and Time Inc., a record surely never to be broken. Ask yourself if you know anyone who has worked that long at a single company (besides one that the person founded). There may be a few, but are these people also the most highly regarded in their fields? Note that if Carol had retired at age 65—20 years ago—she wouldn’t have written a number of groundbreaking pieces, like her story criticizing the merger of AOL and Time Warner, then Fortune’s parent company. Did I mention that Carol is one of the smartest people I’ve ever met? And generous in sharing her knowledge, and not shy about speaking up when she sees something wrong? And that she loves a good yuk? I am happy to report that Carol plans to continue writing some for Fortune in retirement. 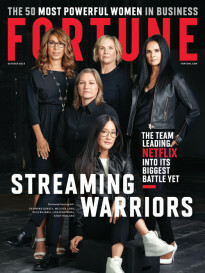 But her piece on Larry Fink of BlackRock in this issue— typically comprehensive, penetrating, and authoritative—will be her last as a staff writer at Fortune. I have had the privilege of working with Carol for nearly 30 years. Her contributions to Fortune, to journalism, and to business are immense and incalculable. Her retiring from Fortune is the end of an era for all of us. 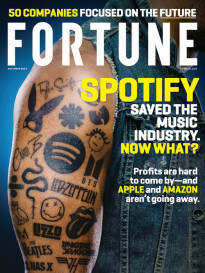 This story is from the July 21, 2014 issue of Fortune.